Thanks to Mark Jacobs for sharing the following post with our VFVC Blog readers. I recently attended a forestry meeting in the UP of Michigan and heard a presentation from Chris Burnett – Consulting Forester on project BURN-UP (Biomass Utilization and Restoration Network in the Upper Peninsula). Some of their initiative is based on information obtained from Ontario and Sweden. It was an excellent presentation that relates well to our situation in northern MN. Here is a link to their website http://upwoodybiomass.org/. I also have Chris’ PowerPoint presentation. Send me an email at mjacobs@co.aitkin.mn.us if you’d like a copy. I think that we can learn a lot from the “Yoopers” in this arena. Here’s a quick update to point to some of the follow-up underway to address the challenges and opportunities identified by participants in Vital Forests/Vital Communities-sponsored events focusing on the role of forestry in the new bioeconomy. • An article in the summer 2008 issue of Range View gives a nice summary of last October’s conference, Seizing Opportunity: Forestry and the BioEconomy, co-hosted with Iron Range Resources. • Participants in the April 19th BioMass Harvesting Stakeholder Forum ( suggested a number of short-term steps aimed at helping the forestry community gain a better understanding of what biomass harvesting is currently underway or planned in Minnesota. The need and opportunity to create a shared format for collecting basic harvest information also was identified. Blandin staff are conducting a series of short phone interviews with a targeted list of land owners, managers and loggers to get a start on both of these efforts. We should have something more concrete to report next month. • Itasca Economic Development Commission recently received a grant of $50,000 from the USDA Forest Service to study using biomass-fired energy systems to help Minnesota’s forest products industry reduce fossil fuel consumption and ensure long-term viability. The grant request was co-authored by Ainsworth Engineering in conjunction with Iron Range Resources, the University of Minnesota’s Natural Resources Research Institute (NRRI), Hedstrom Lumber and the Lonza Group. • While in Thunder Bay, Ontario as part of the Seeing the Forest AND the Trees study tour, participants got to hear an operational perspective on opportunities and challenges to biomass harvesting in Canada by Mark Ryans of FPInnovations, a Canadian forest policy and research institute. Foundation staff are working on inviting Mr. Ryans to give this presentation to interested VF/VC participants via the Internet. We’ll let you know once we have a date. 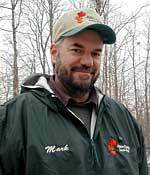 • Dave Epperly reports that DNR has posted a new position for Biomass Coordinator Program Consultant. Applications are being accepted at least through the end of June. This is a great accomplishment for Dave, especially given the rough fiscal environment DNR Forestry is operating in, and really good news for Minnesota’s forestry community as well. The creation of this new position responds directly to one of the concerns expressed at the April 29th Stakeholder Forum about the need for increased coordination of this activity. • The Institute for Agriculture and Trade Policy has just released a press release on a new report on the economic and silvicultural impacts of woody biomass harvesting. The report was co-authored by Don Arnosti, who was among the participants in the April 29th BioMass Harvesting Stakeholder Forum. Based on a series of test forest biomass harvests from the Superior National Forest, the report concludes that such harvests could reduce the cost of fire prevention management while providing work for loggers and fuel for renewable energy facilities. • Thanks to Keith Jacobson for sharing news with us about an upcoming Short Rotation Crops International Conference on Biofuels, Bioenergy and Bioproducts to be held in Bloomington August 18-22. The conference aim is to initiate and provide opportunities for scientific exchange and full integration of the science and application of producing BOTH agricultural AND forest crops for biofuels, bioenergy, and bioproducts. Early bird registration deadline is July 1. • And finally, thanks to DNR’s Biofuels Program Manager Mark Lindquist for alerting us to the following: The MN Dept. of Agriculture has released their solicitation for NextGen Energy Grant applications. $2.7 million in 2008 funding is available for feasibility studies, biomass (including woody) feedstock development, and capital cost share. Applications are due July 31. Blandin Foundation staff and partners have been busy following up on the energy and good ideas shared by the 40 plus folks who came together in Eveleth on April 29th to talk about harvesting woody biomass for energy. A summary of the event and links to the research reports written to inform the meeting, including “Woody Biomass for Energy in Minnesota: Consumption and Availability” are available on the Blandin Foundation website. Based on existing evidence, report authors Jim Bowyer and Steve Bratkovitch of Dovetail Partners, Inc., conclude there appears to be room for significant expansion of biomass consumption for energy production in Minnesota. Forum participants received this news with some skepticism, however, cautioning that the data on availability need to be filtered through economic and environmental costs and sustainability implications. Third generation logger Peter Wood asserted that his industry was ready to do the harvesting, as long as end users were ready to pay what it costs to get the job done. “Let the market work,” he said. MCEA’s Matt Norton reminded the group that the higher end of the state’s maximum allowable cut established by the GEIS was based on the assumption that the recommended mitigations would be in place, which is not the case. • A phone survey of land managers to compile a more detailed picture of what forest biomass harvesting efforts are planned for the near term. • Design and delivery of a minimum of two biomass harvest guideline implementation demonstrations, under the leadership of MLEP with assistance from University of Minnesota Extension staff. MNPost reporter Ron Way has written a nice overview of the issue, Once seen as waste, forest materials find a market, referencing several participants from the April 29th forum. The Foundation welcomes your comments and ideas. As we move ahead, we want to be sure that our efforts to embrace this opportunity for forests, forest industry and forest-reliant communities benefit from lessons learned in other renewable energy market development efforts and avoid unintended consequences. A number of you have contacted us to inquire about the possibility of attending the Forest Biomass Harvesting Stakeholder Forum Blandin Foundation is convening on April 29th (see my March 19 post, Do No Harm: Renewable energy mandates and forest biomass harvesting). Thanks to everyone who has expressed interest in this project. 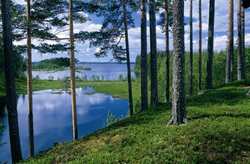 The goal of the meeting is to explore how to help guide, shape and inform the development of a sustainable forest bioenergy industry in Minnesota by expanding the number, improving the quality and sharing information about small scale and voluntary, on-the-ground biomass harvesting demonstration projects in northeastern Minnesota. With this goal in mind, and hoping to facilitate a highly participatory and focused discussion, we have purposely kept relatively small the number of invited agencies and organizations. We have worked hard to ensure that a broad range of perspectives and organizations will be represented at the table. We do intend to share the outcomes of our “what next” discussion through the VFVC blog. If you’re interested in following the progress of this work, check back the first week in May for a summary of the meeting. Goal One for Blandin Foundation’s Public Policy & Engagement program is “Do No Harm” (a.k.a. watch out for unintended consequences!). That may seem like a low bar, but actually, it’s not. Especially when you’re talking about forest biomass harvesting. Thanks to Minnesota’s new site-level harvest guidelines for forest biomass , Minnesota is well positioned to explore the contributions that forest resources can make to achieving Governor Pawlenty’s ambitious “25×25” strategic goal – 25% of all types of Minnesota’s energy will come from renewable sources by 2025. What can be done to help ensure a Do No Harm outcome – and maybe even better than that! – for our forest-dependent communities, forest-based businesses and the forest resource itself? To help create the best possible shot at optimizing benefits to our forested region from the Governor’s 25×25 vision, Blandin Foundation has agreed to convene a Forest Biomass Harvesting Stakeholder Forum. The first meeting will be held April 29. The purpose of the forum is to hear from on-the-ground practitioners who are actually doing forest biomass harvesting about what’s working (and what’s not). Forum participants also will explore what should or could be done to ensure a win-win-win outcome for utilities, forests, communities and forest-based businesses, all of which share an interest in implementation of sustainable forest management practices and a more energy independent future for our state. For more information about the forum, email Mary Magnuson, memagnuson@blandinfoundation.org or call 218.327.8738.